Free Shipping Included! 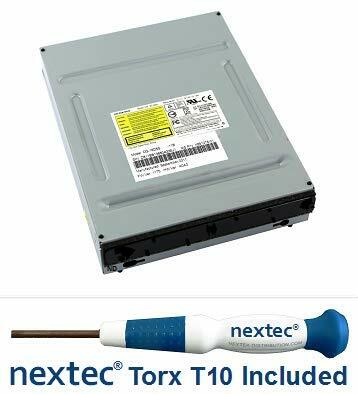 Microsoft Xbox 360 (Slim) DVD Drive - Phillips: Liteon (DG-16D4S: 0225) + Nex. by nextec at Andy Pemberton. MPN: 00-D4S0225-N. Hurry! Limited time offer. Offer valid only while supplies last. IMPORTANT - Must check original model number on drives hardware label before purchasing. Model: Phillips Lite-on DG-16D4S: 0225. Inside some Xbox 360 Slim console, check hardware model on drives label. If you have any questions about this product by nextec, contact us by completing and submitting the form below. If you are looking for a specif part number, please include it with your message.